I shall celebrate my newly minted 'bourbon barrel' status on this forum by finishing off my bottle of Booker's Small Batch. It pairs well with an Oh Henry! chocolate bar. Anyway managed to clear a few more low levelers. Michael Collins (Old tall battle) which was actually very enjoyable. No I did not go on a binge there was probably only 2 measures in all of these except the Michael Collins which had circa 20cls left. I am now below 40 opened bottles which is wonderful as my open stock from a few years back was ridiculous. 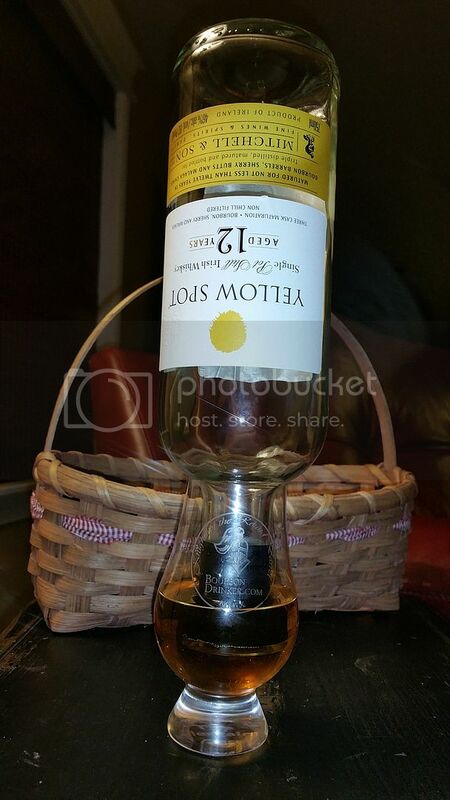 The Glenlivit all gone. Not bad for a Tuesday night! All spelt without an "e" too!! Tullamore Black 43 ..... why oh why did they discontinue it ? Connemara Cask Strength. It's was hidden away for a few months but still was mighty stuff. Jameson Caskmates. I only had a little left so didn't want to risk it spoiling if I left it there. Great whiskey. I hope this will be continued and others added. Pity they won't run this one again. got me thinking ...and I checked the bottle. On reading the bottle yes it would like to make you think that it was a pot still blend. However the description is very flakey. Redbreast Mano A Lámh. After only 8 days my first has bit the dust. I had a little help. I guess they've appreciated in value now. I had a little Bakers and some Lot 40 so the both but the dust. 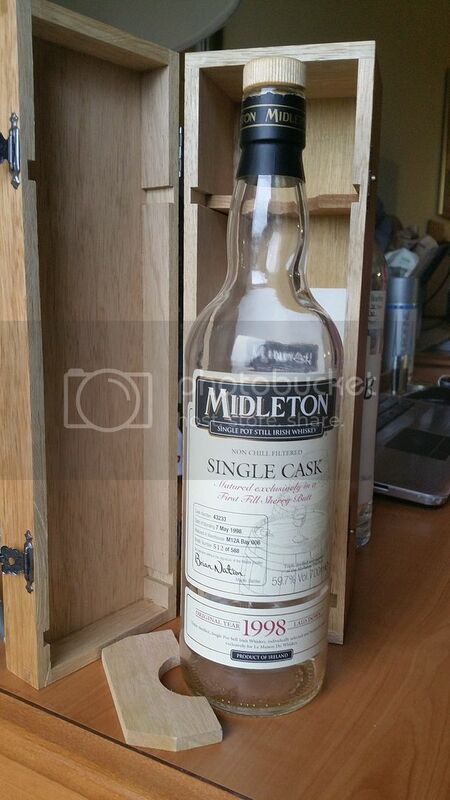 A bottle of the Irish Whiskey Society Midleton Cask Strength single cask ..... A sad day indeed. another soldier went down last night. Im at my annual whiskey event in Bardstown. Picking a few barrels for a whiskey group. 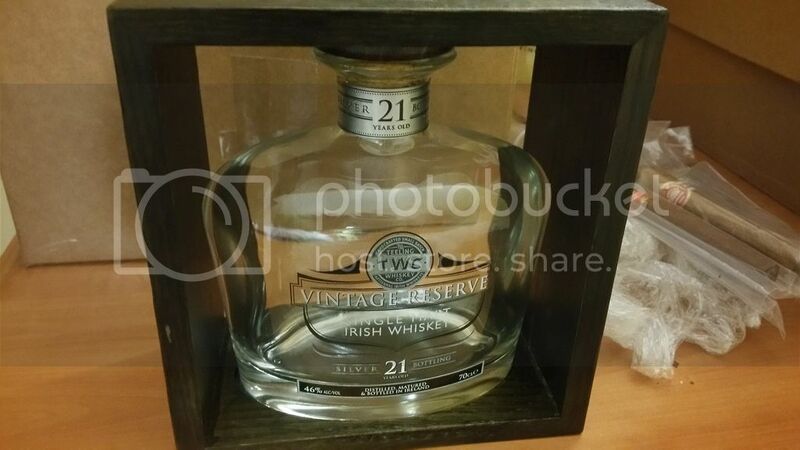 this Teeling 21 did not last the entire trip. It will me missed. (and possibly replaced) The stewed fruits, oily mouthfeel and that thin layer of smoke was absolutely mesmerizing. Midleton Single Cash First Fill sherry. what a cracker. Big sherry. Bright. great mouthfeel and a finish that lasts forever. My bourbon club killed this one quickly. Id like to replace bot the price point is prohibitive. 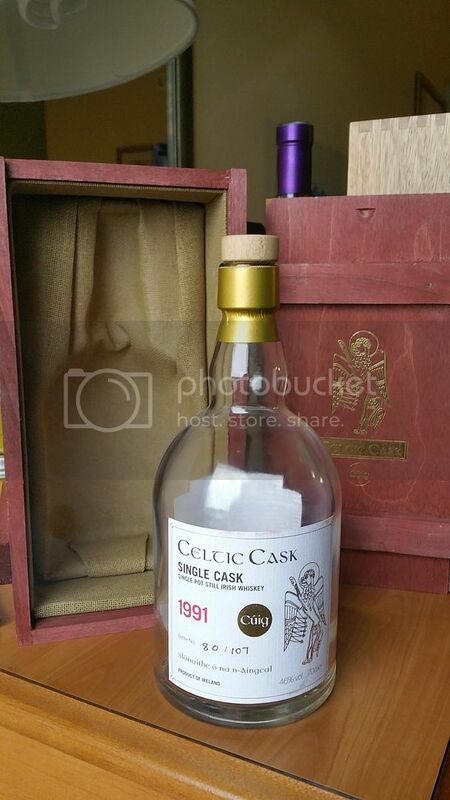 I've finally finished my 1973 Carn Mór single Grain. It's took me nearly 2 years. Luckily it was cask strength. It's no great whiskey. 36 years in wood didn't do it any favours anyway. Worth trying something different all the same. i just finished a bottle of ballantine 12, three people, at one time,..
Jack Ryan Malt just bit the dust. An absolutely lovely whiskey. I'll replenish this one without a doubt. Last night, Amrut Fusion #20. It lasted 19 mnths, but improved greatly in that time. I was nearly sad to see it go, but it will not be replaced. The Irishman 70, I think this is very good value for money here in Norway. I will buy more. I had a little clear out over the last few days. I worked the weekend end as so have been off for the last few days. I managed to empty a second Mano A Lámh, Ardbeg Corryvreckan and a beautiful Linkwood 15 year old, part of the Un-Chillfiltered Collection from Signatory. Three completely different whiskeys but all outstanding.